We created a new visual identity, strapline and website for TransitCenter, non-profit advocacy organization to reflect their voice and allow them to make it more clearly heard. 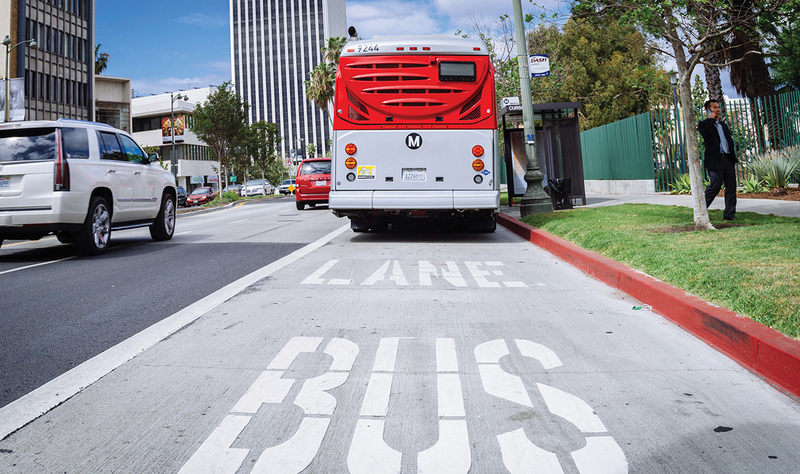 Given our skills and interest in transit, working with TransitCenter was a dream project. 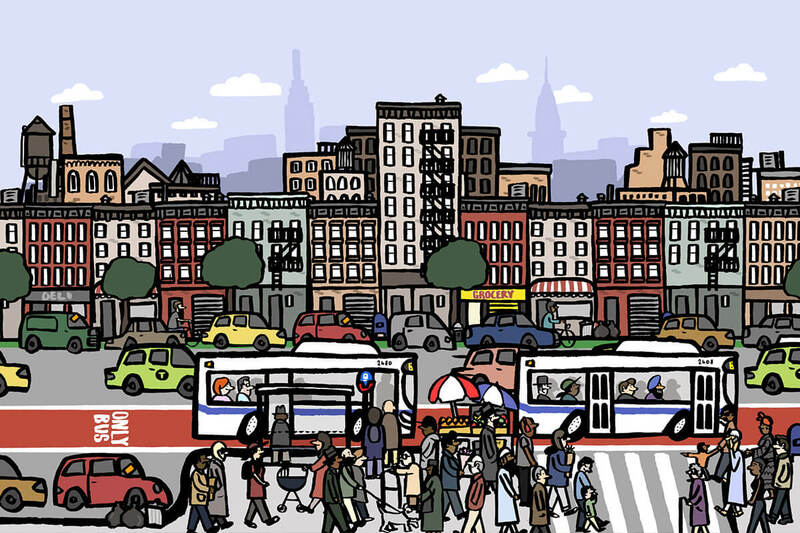 The non-profit was formed from the sale of TransitCheck to advocate for better transit across America. We saw that, despite confusion with city transit interchanges, a name change for TransitCenter was off the table. So we proposed a refresh for the brand, visual identity and website, to capitalize on its growing status. We saw an opportunity to enhance its web presence, with a user-focused site to better tell the story of the organization and elevate its voice in the transportation ecosystem. 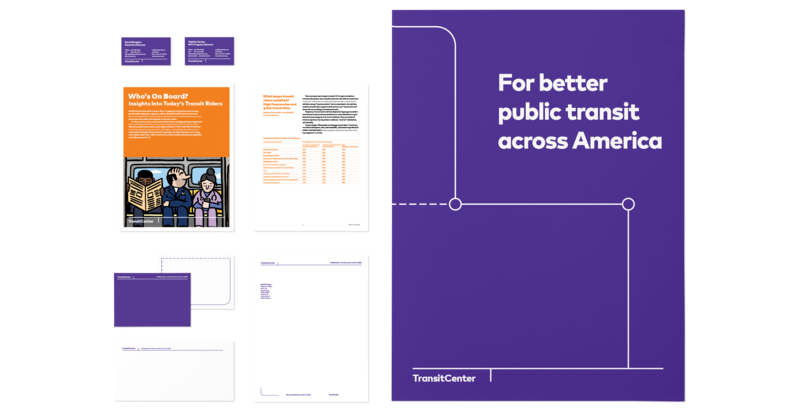 We conducted brand, communications and market audits and recognized that TransitCenter was both missing opportunities to explain its mission through its website, logo, self-description and other materials. Multiple communications materials were developed in different styles, which missed the benefits of a consistent brand in building recognition. TransitCenter’s existing color scheme of blues and greens was commonly used in the sector, which didn’t allow it to stand out, and there was both a challenge and an opportunity to ensure its visual identity could pair with partner organizations. 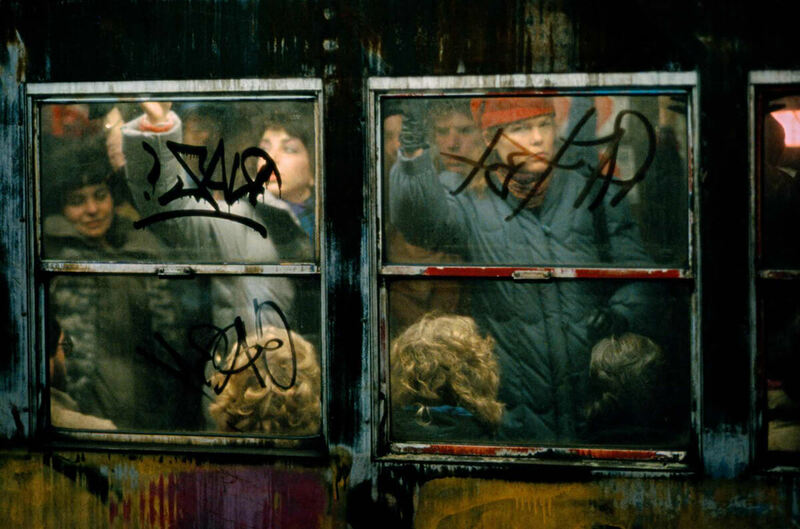 We saw the need to match communications with organizational strategy: publications that made more impact; more frequent hosting of events; and a raised profile as a commentator on transit developments. We created a bold visual identity and ‘house style’ for all future materials, and a style guide for consistent implementation. We gave TransitCenter a bold and ‘ownable’ distinctive purple for differentiation and gravitas. We created a bold and flexible logo which adapts to different contexts. 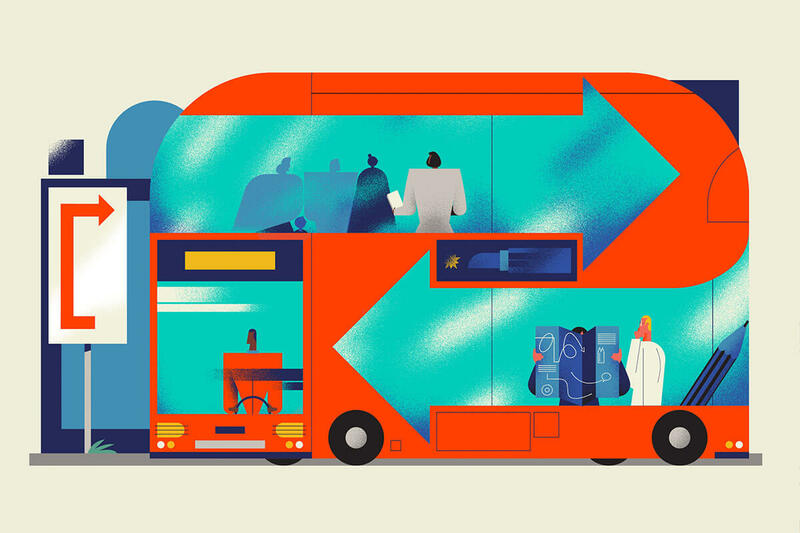 We extended the logo style into a full visual language, based on the streets of different American cities and taking cues from other transit features, and crafted the succinct tagline ‘We put transit in the center of cities’. 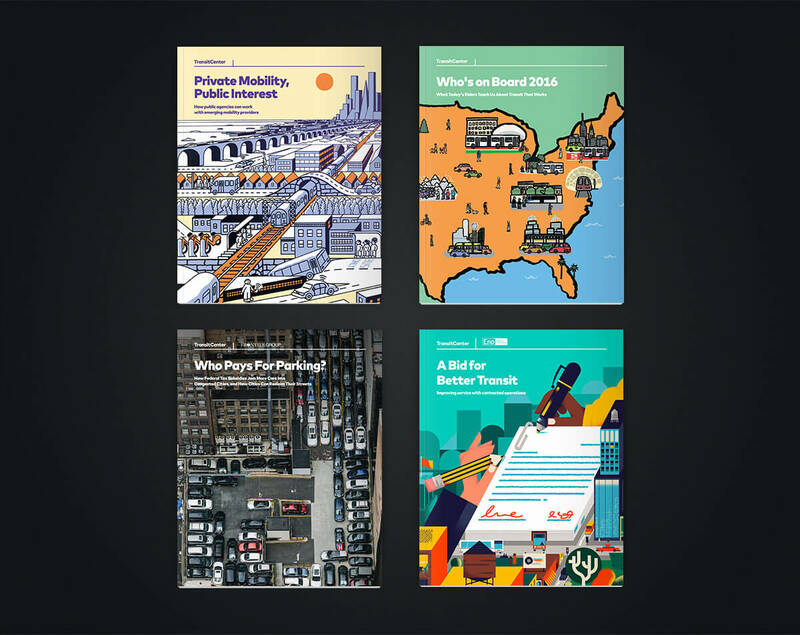 We elevated the design of TransitCenter’s influential research reports and worked with an illustrator to bring the ‘human impact’ of transit to life. The visual identity system can be applied to publications created with partners, to a greater or lesser degree depending on the relationship. 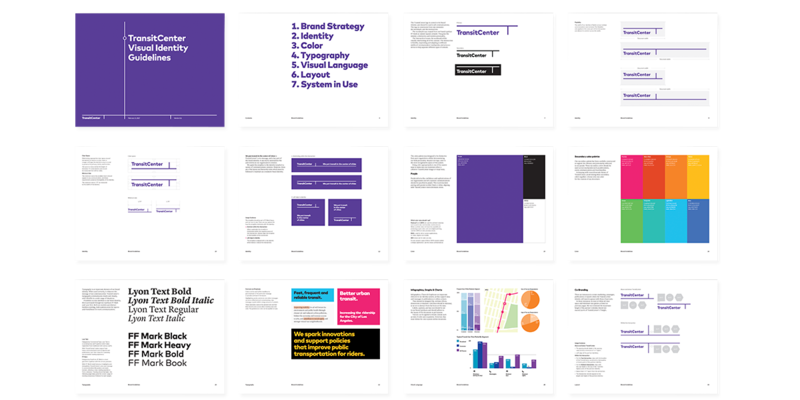 The Brand Guidelines give TransitCenter staff the guidance they need to ensure the visual identity is implemented consistently: crucial to ensuring that the impact of the brand is felt at every opportunity and core to supporting their strategic vision. 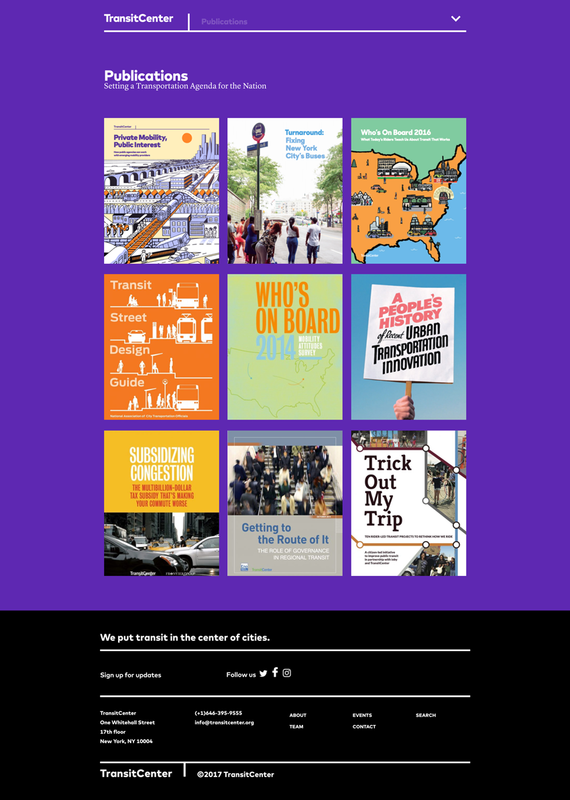 We redesigned the website to demonstrate TransitCenter’s voice in the transportation world and expose the most important content. The live feed of news items, centered around the bold white-on-purple line knits together a consistent narrative around the commitment to better transit.